ChessBin Chess is the product of all the research and source code I post on this website. It contains many of the features found in a commercial chess playing program such as Save Games, Opening Book, FEN and PGN, with a more attractive price of free. New! 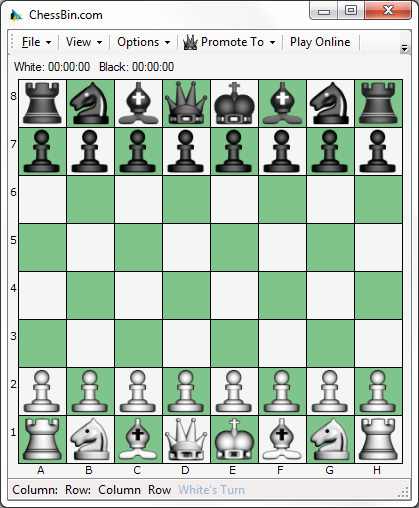 Version current version of ChessBin Chess contains a PGN Viewer. New! Source Code for this application is available for $999.99 US, please enquire by email. ChessBin Chess allows you to play as white or black; it will flip the board when playing black.